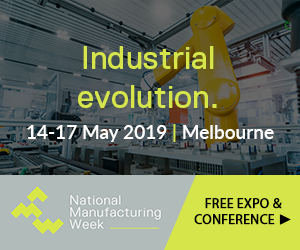 Overview: We help Australian Manufacturers visualise the future commercial and financial implications of their decisions. Our combination of transformational and transactional skills and experience has helped Australian manufacturing businesses achieve considerable success in improving performance and value. Overview: Valley Precise Global (VPG) is a designer and manufacturer of exceptional pipe repair clamping system. Overview: The Precise Advanced Manufacturing Group is a group of synergistic, vertically integrated, advanced manufacturing companies. Overview: The Blackie McDonald Communication Group helps marketing and public relations executives uncover what’s interesting about their organisation’s products and services. Investors seeking to buy manufacturing businesses. Overview: Investors seeking to buy manufacturing businesses. Realise Potential – smart factory specialist. Overview: Smart factories are not coming ... they're already here. Chances are your competitors are implementing them to substantially improve efficiencies, reduce costs and generate more profit. Corban & Blair – innovative marketing, presentation & gift products. Overview: Corban & Blair are designers & manufacturers of bespoke innovative marketing, presentation & gift products.